This year, I’m going to continue a tradition I started last year of digging up a “moldy oldy,” a supernatural horror story by a writer who was once famous, but who has vanished into obscurity. This year’s story will be The Witch of Prague by F. Marion Crawford. Last year, I had just reread Wilhelm Meinhold’s The Amber Witch (which I mentioned in a previous post on supernatural fiction), and decided for Halloween to follow up with his Sidonia the Sorceress, upon which Edward Burne-Jones based a striking painting. Alas, just as Bram Stoker went back to the well once to often, hoping to reproduce the success of Dracula, Meinhold decided to do The Amber Witch, which was a fictional history, one better with Sidonia, which was a fictional treatment of the real history of the strange end of the Pomeranian ducal House of Griffins. Fascinating history, but Meinhold didn’t manage to explain how Sidonia’s motives and methods led to the Griffins dying as they did. I doubt anyone could, the whole scheme being too fantastic. This year, I was rereading three horror stories that all had towers in them. One was F. Marion Crawford’s “For the Blood is the Life,” an interesting variation on vampires. I read through the rest of Crawford’s supernatural short stories, which have been collected as Wandering Ghosts. The introduction to my edition of this collection mentioned that Crawford had written only one horror novel, The Witch of Prague. So I decided it had to be my Halloween read this year. How could I turn down a second obscure novel about a witch in a row? I don’t know that much about Francis Marion Crawford (1854 – 1909), but what I have learned makes him sound like an interesting fellow. He was born in Italy to American parents, and would eventually return there as an adult to settle with his wife and children. He got his start as a writer when he failed to make it as a professional singer, and his uncle suggested that he write down some of his adventures from India instead. He was a bit of a recluse, and would sometimes retire from his villa to an isolated coastal tower to write undisturbed. Isn’t that something every aspiring writer would like to be able to do! 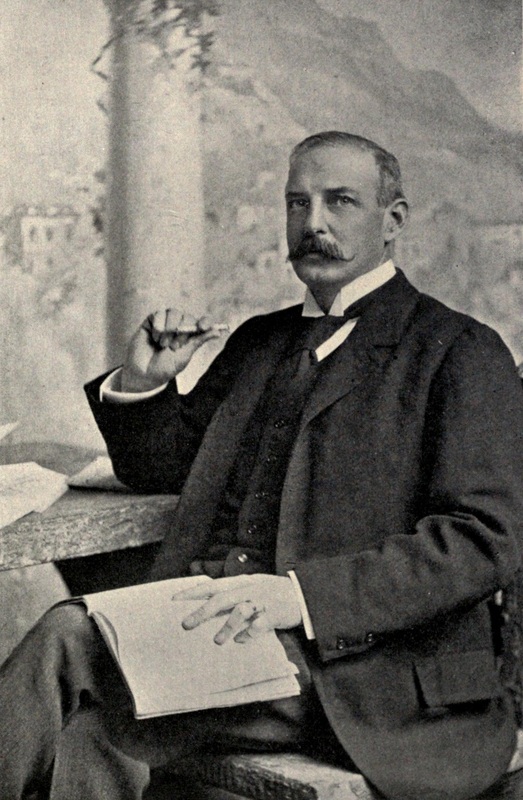 In his own day, Crawford was best known for his many historical novels, particularly those set in Italy. These days, he is best known for the supernatural stories in Wandering Ghosts. I’m tackling The Witch of Prague with some trepidation, because the only review specifically to mention it on Amazon.com suggests it is a cure for insomnia. Depending on how it goes, I may follow up with Crawford’s Khaled: A Tale of Arabia, which seems to be in the spirit of Vathek, and which Crawford himself is said to have liked best of his own novels. Anyhow, I’ll let you all know how my reading turns out. This entry was posted in Uncategorized and tagged Fiction, Halloween, Magic, Reading. Bookmark the permalink.